Follow this site on social media! For a television show that has stretched decades and featured all sorts of villains, monsters and weird plots, Doctor Who has had its fair share of...strange villain plans. For some villains, trying to take over the Earth is enough. For others, their plan often involves a gaping hole and the question "...just what were you hoping to achieve?" What are the most ridiculous villain plans in the history of the show though? 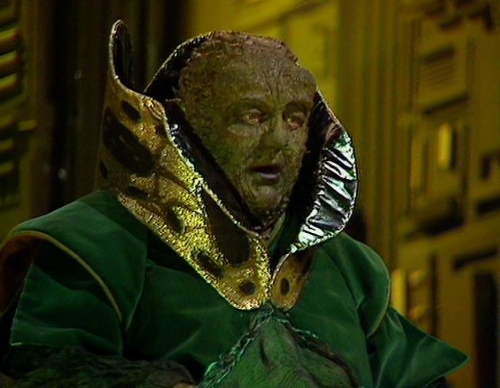 There are certainly a lot, though to be fair on the other villains I'm going to restrict the amount of times I refer to an episode with the Master, as all of his plans are completely rubbish. The High Council of the Time Lords have put the Doctor on trial for the sole reason of having him discredited and killed. In a previous adventure, the Doctor had stumbled across the planet Ravalox, which was a future Earth devastated by the Time Lords. The Doctor didn't even realise this at the time though; just the fact that he might work it out was enough to sign his death warrant. 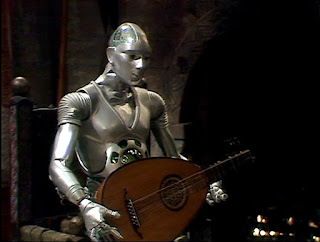 So it's very, very important to the Time Lords that no-one else find out about Ravalox. To this end, the employ the Valeyard, an evil future Doctor, and promise him the Doctor's remaining regenerations if he gets himself killed. 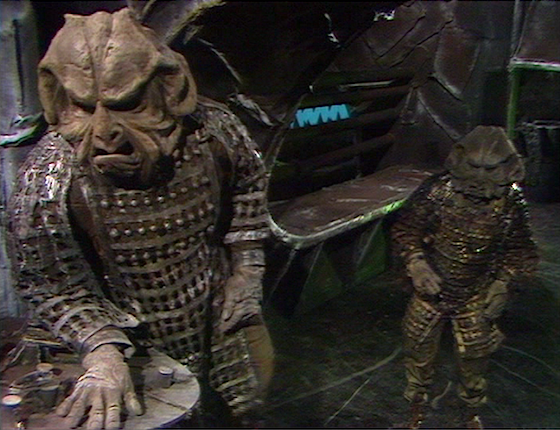 That's not the rubbish plan, we assume the Time Lords have this power because hey, they're Time Lords. The trial is clearly a matter of public record. If it was just the corrupt High Council in on it, they could have just shived the Doctor the moment the courtroom doors were closed. The high ranking Time Lords at the trial are thus not complicit in the High Council's actions, and it is their presence that legitimises the trial. The trial whose entire point is to cover up the Ravalox affair and ensure the Doctor dies so no-one finds out about it. So with all of time and space to choose from, the Valeyard's first evidence is "What the Doctor did on the planet Ravalox." Again, the Doctor didn't even discover the truth about Ravalox, and would have happily gone on his way and never found out about it if it were not for the trial. It was his mere precence there that risked discovery. Why then does the High Council's prosecutor decide to beam a live-action replay of the events to the courtroom and presumably across all of Gallifrey? What's the Valeyard's next move? He shows an adventure where the Doctor is clearly mind-controlled, and ends with the High Council of Time Lords interfering in the natural development of a planet by ordering the assassination of Crozier and Peri. 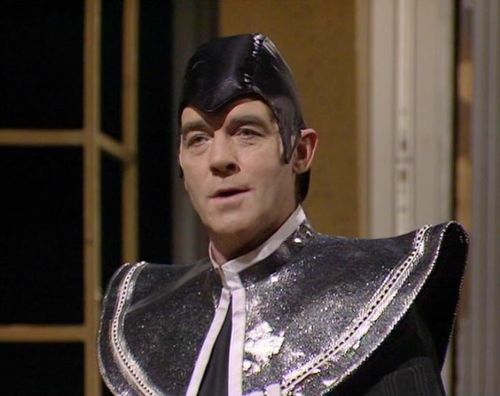 The Valeyard precided over the worst cover-up in history. Of course, there are some readings where he is secretly heroic and is using the trial to draw attention to the High Council's douchebaggery. But given that the entire purpose of the trial was to ensure this information didn't get out, using it as exhibit A was hardly the best move. The entire goal of the Silence was to kill the Doctor. It was vital that they needed him dead - but how? Poison perhaps? Maybe an assassin? They could travel in time and had amazing hypnotic and stealth powers, giving them a range of deadly ways to murder him before he even knew about it? Of course, there was only one way to do it - the good old 'Lake Astronaut' routine! Why go for an over-complex plan that could fail when you can fall back on that tried and trusted method of hiding someone in a spacesuit under a lake, jump out going "tee hee hee" and then shooting your quarry. It's a classic! 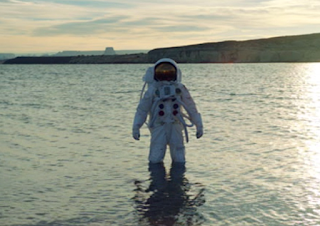 Series 6 of Doctor Who set up an entire mystery plot asking "Why is there an astronaut hiding in a lake that wants to kill the Doctor," the answer being "because there is an astronaut hiding in a lake that wants to kill the Doctor." At no point is it ever explained why this is the sanest plan on the table. 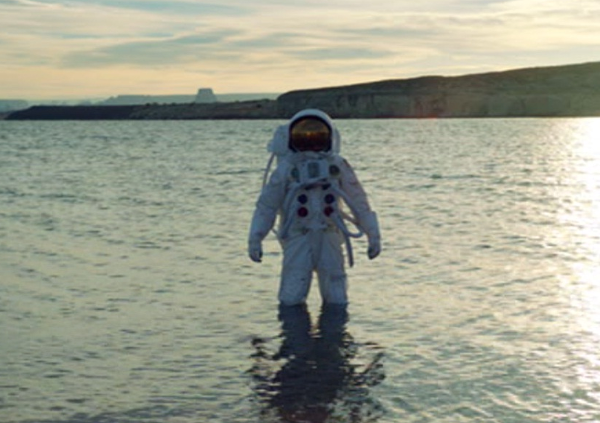 Fans have scrambled about for an explanation after the fact - the best one being that the 'Lake Astronaut who kills the Doctor' was some sort of established event/myth that the Silence made come true for them, having to do it that way due to predeterminism. This is a nice idea, but it's never stated on screen. All that's stated on screen is that the Silence are barking mad. 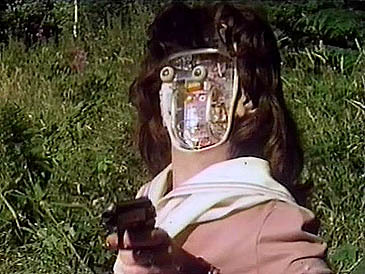 It gets better though - they spend all this time and effort getting River and then raising her as a 'perfect assassin' before putting her in a remote controlled suit that she can't stop. They could have put anyone in it. Or no-one. Again, fans have claimed that perhaps River's unique genetic makeup causes it to be a 'fixed point' but again, that's total fanon. But where to get a space suit? Can the mighty, high-tech time-travelling Silence grab one from the shops? No, it's probably simpler to manipulate humanity for millennia for the sole goal of developing the Apollo spacesuit. Which IS something stated in the show. I mean, upsetting the political relationship between the King and his barons would have been a bit mean, but would have hardly undermined the cornerstone of Western democracy. The Magna Carta was more powerful as a mythic idea rather than any good it actually did, and this myth had been pretty much debunked by the 19th century. But maybe the Master just hadn't read up on his history books? He did have time to teach Kamelion the lute though! That said, attempting to overthrow the evil King John puts the Master firmly on the side of Robin Hood. Added to that is he didn't even bother to capture the real King John, so there are two running about, rendering his plan null and void to anyone with eyes. The Daleks have a time corridor set up linking a space station in the future to the present day. Having been beaten in the Movellan war by a virus, they are dumping canisters of the virus (which only effects Daleks) on 20th century Earth. Meanwhile they are rescuing Davros in the future so he can find a cure for the virus. The Daleks are also cloning people, so are dumping clones of politicians through the time corridor to take control of Earth. They're also cloning various futuristic people. To round things off, the Daleks then decide to clone the Doctor to kill the High Council of Time Lords on Gallifrey. The Daleks are juggling half a dozen plans concurrently, making Resurrection of the Daleks feel less like a coherent story, and more like 'The Doctor stumbles into an average Tuesday at the Dalek office'. Clearly there's lots of projects on the go. Why do the Daleks bother joining up 20th century Earth with the future via a time corridor? What do they achieve by throwing all of the deadly virus down the corridor, leaving it lying in a pile and unprotected? Why haven't they bothered to test their clones for stability before they start mass producing them to take over the world? Why do they want to take over 1983 if they have all of time and space to choose from? Why isn't the Doctor particularly concerned that the Daleks have apparently killed all of Earth's politicians and replaced them with clones who are about to go crazy? When Davros needs a virus sample, they take it from the pile on Earth, did they really dump their entire supply into the time corridor? "Ho hum," says the Dalek Supreme, sipping his coffee. "Throw enough mud at the wall, some will stick. What else is on the agenda? I know, let's invade Gallifrey!" The alien Kraals have got a foolproof plan to invade Earth. They have created androids that are identical to humans in a particular English village. They plan to rocket these androids to Earth hidden in gigantic inconspicuous meteors and then use them to replace the villagers. These villagers, indistinguishable from humans, will then spread the virus across the Earth. To aid them they have the help of a human astronaut and secured his loyalty by telling him he died in space travel and they were able to put his body back together apart from one eye. Of course this is a lie, and the Kraal plan is undone when Guy Crayford actually bothers to look under his eyepatch to discover he has two eyes and thus the Kraals are liars. Did they expect him never to look? Perhaps Crayford was really squeamish? (Personally I like the idea that the eyepatch was a 'control' for hypnotic conditioning, and the fact that he checks under it is the indicator that the conditioning has broken... only that's not an idea ever depicted on screen). The Kraals have gone to great expense to create a perfect replica Earth village on their homeworld for their androids to practice being human. The androids are pretty rubbish at being human though. Also the fact that the plan relies on the androids then leaving for all corners of the globe to spread plague doesn't necessitate either being particularly human or knowing how to live in a village. Thankfully the Kraals havn't heard of 'aerosol dispersion' relying instead on the good old 'manual android dispersion'. At least they're guaranteed to get Madagascar. 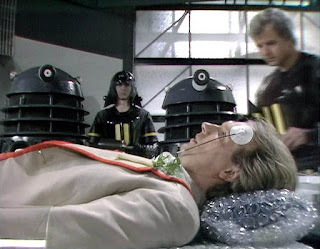 In the proud tradition of deadly Doctor Who viruses, when it does get released, only the villainous Styggron dies, and that's because he falls face-first onto the virus capsule. Perhaps they did need all the androids after all, to go around and smulch the viruses into the face of the entire population of Earth one by one. Plan: Murder Earth with a deadly virus; Meet God. Monarch is the ruler of the planet Urbanka and happens to look like a giant space frog. One would imagine he would spend his time ruling his planet, but instead he has spent the last several thousand years flying back and forth between his homeworld of Urbanka and Earth, collecting humans every time he visits. He has Mayans and ancient Greeks and ancient Aboriginals amongst others. Unfortunately Urbanka is under threat from solar flares, and so Monarch's next visit to Earth will be his last. He has miniaturised the inhabitants of Urbanka onto slides and when he arrives on Earth he will unleash a deadly virus to kill everyone and replace them with his people, the cad! But Monarch has a second plan - he believes that if he can move his ship faster than light, he can pilot it back to the beginning of time and meet God. Now, with the best will in the world, and the most generous measure of physics, if Monarch has been bouncing between Earth and Urbanka quick enough to meet Mayans and Greeks on successive trips, he's already going faster than light. Monarch is clearly deluded. Worse though is when the Doctor throws the deadliest deadly toxin at Monarch. This toxin was supposed to be able to wipe out Earth easily, but Monarch is the only one it affects. Everyone else stands about gormlessly having been exposed to this deadliest of deadly plagues, and are fine. Also the toxin shrinks people. Perhaps Monarch was going to 'Do a Kraal' and get his androids to manually smear the virus onto every person on Earth. Doctor Who villains are rubbish at making contagious viruses. Cessair of Diplos was an evil murderous space criminal, who managed to escape from the hyperspace ship holding her and hide out on Earth. The ship was disabled, but the Megara, the justice machines who would have tried and executed her, were only locked up. With this in mind, you'd expect that in order to escape justice, Cessair would have got as far away from the ship as possible, and keep a low profile. Instead, she takes up residence in a house just a few hundred metres from the hyperspace portal where the ship is parked and lives there for hundreds of years, dressing up as a crow and pretending to be a god. Even when the Megara get out, they're absolutely rubbish, stumbling about and unable to recognise her. If Cessair had moved even to the next town she'd have been fine. She could have sent the ship into the sun, or legged it off-world or... anything, really. But no, she set up shop next to the only thing that could defeat her. 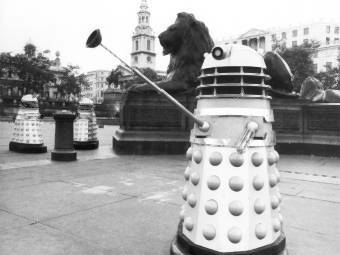 The Daleks have enslaved the Earth in a grim totalitarian regime. Using germ warfare to crush the will of humanity and cyborg slaves to enforce their will, they are the undisputed masters of Earth. What could be worth such bloodshed? The Daleks plan to hollow out the Earth so they can install engines and drive it about the galaxy. You see, one day the Dalek Supreme woke up and decided he hadn't done anything particularly insane for a good week. Why do they want to pimp out the Earth as their cool new ride? Who knows! Fandom has become obsessed with this, working on various realistic goals that required a flying planet Earth. In the new series, Russell T Davies wrote a story where it turns out that the Daleks wanted to move the Earth to use its planetary mass as part of a doomsday weapon. In the Big Finish audios, the Daleks wanted to fly the Earth about to use it as a plague planet (though no-one told them that a flying plague planet would probably be rubbish at spreading plague to other worlds, as if it got close enough to spread plague it would have already crashed into its target). The truth of the matter is that there's no reason. The Daleks are just being gigantic assholes as usual. Oh, and how do they plan on hollowing it out? With a giant bomb. Sigh. The Zygons have lived for centuries underneath Loch Ness. They are shapeshifting creatures who survive by suckling on the milk of the mighty Skarasen. 4 - Sail the Skarasen down the river Thames and assassinate Margaret Thatcher. Apart from the whole part where the Zygons repeatedly put the Skarasen in danger (they require its milk for their very survival), it's unclear how making the Loch Ness Monster eat the Prime Minister will help them take over the world in any way, shape or form. 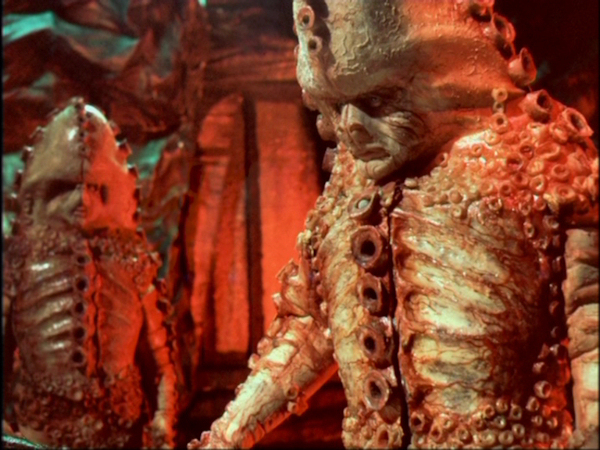 The Zygons aren't stupid. This isn't some plan by an obvious madman like the similar scheme in 'Ghost Light'. Or maybe it is. Maybe Broton genuinely believes that if he has the Loch Ness Monster swallow Margaret Thatcher, he will become the new Prime Minister by right of conquest? At some point during the broadcast of series 8, giddy fans were proclaiming that even if the series finale was just forty-five minutes of static and Steven Moffat rubbing his naked body with money, it would still be the best series ever. Well, Moffat sure put that to the test! The Master has used Time Lord technology to create a fake heaven where the minds of the dead are uploaded. These minds are then convinced to delete their emotions, and are then downloaded into Cybermen bodies made from the bodies of the dead. These Cybermen then rise up and start flying about and attacking people. The Master then murders lots of the Doctor's friends and says "Surprise, happy birthday" and gives him the army so he can do good with it. I don't want to be that critical of the plan itself. The Master is clearly bonkers (though that's a terrible motivation in itself) though has enough mental faculties to undertake this insane plan. Why does the Master need the fake heaven? Cybermen certainly haven't needed anyone's permission to delete their emotions before. Are we to expect that literally everyone in all of human history chose to delete their emotions with the exception of Danny Pink? But then they sent him back anyway, becoming a rubbish Cyberman. How many more rubbish Cybermen were there, just staggering about and crying? If the Cybermen can use their nanovirus to create magic Cyberman rain that can magically turn every single corpse into Cybermen, why do they need to go through the entire plot of Dark Water where the Master creates a big corporation as a front to encourage people to give her their dead? Those Cybermen are little more than glorified nanobot missiles; could a... nanobot missile not have sufficed? Why does the Master then have the Cybermen attack UNIT and try and kill the Doctor, if her intention is to give the Doctor control of the Cybermen? What was her plan if the Doctor had just fallen out of the plane and splatted onto the ground? The thing is, you could probably have a good go at making up convincing answers for all of the above. But no-one does. It's just stuff that happens. 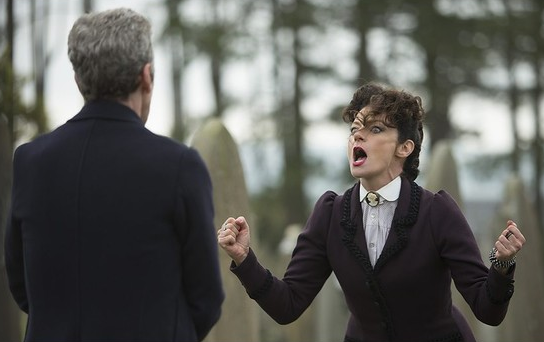 Yes, the Master is back and she's insane with incoherent plans. Oh well. The Monarch looks like the lovechild of Stephen Fry and a head of romaine lettuce. Is 'The Twin Dilemma' really the worst episode of Doctor Who?